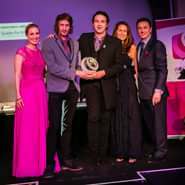 Rock My Reception were named The Best Newcomer at the 2014 Wedding Industry Awards in London. Best Musical Act for two years in a row at the 2014 and 2015 regional event. The award which is given in a category to recognise emerging wedding suppliers who's businesses have displayed unprecedented growth since starting out and the very best service in creativity, innovation, professionalism and passion. 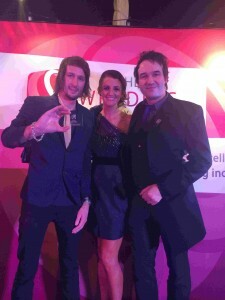 Rock My Reception were also voted The Best Live Entertainment by Wedding Ideas magazine readers. The National Wedding Industry Awards, was hosted by Sky TV presenter Sarah Hewson at London’s Bloomsbury Ballroom and is regarded as the Oscars of the wedding industry. 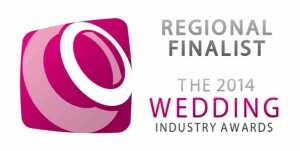 1,250 companies entered the awards from wedding music bands, to florists, photographers and any wedding related industry. Over 23,000 votes were cast to decide the Regional Shortlist. These select few then went through another round of critical judging, by an expert panel who decided the regional winners. 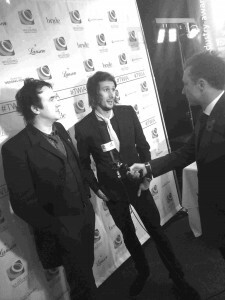 Rock My Reception were then entered for the final round to be crowned National Winners as Best Newcomer. Damien Bailey, founder of The Wedding Industry Awards was thrilled with the evening and with the response to the awards themselves. "The Wedding Industry Awards really have become the gold standard for wedding excellence in this country. 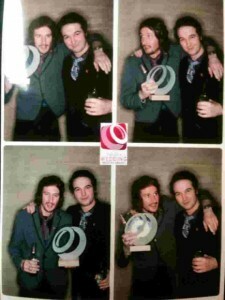 This is the third awards and the standard of entrants was higher than ever. Its becoming harder and harder to pick winners from such an amazing shortlist but Rock My Reception deserved their success, as they are one of the most popular live wedding band the U.K has to offer, they faced fierce competition from all other national suppliers including London, Manchester, Liverpool and Birmingham". Thanks to all our Brides and Grooms who voted for us! For a wedding band from Yorkshire to go down to the capital and bring the trophy back was a real coup.